Waterfront-only lots. Grand estates. High security. Convenient to beach and commercial areas. 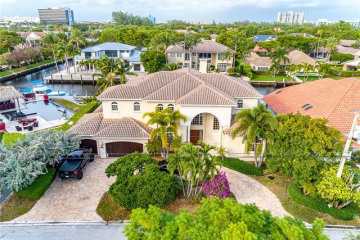 Besides being located in one of South Florida’s most exclusive enclaves, every property in Bay Colony real estate boasts waterfront. Dockage starts at 100 feet, making this port to some of the city’s most coveted vessels.Among its rare perks are a 24-hour guard gate and security patrol for complete privacy; visitors must be invited. Less than a mile to the beach, residents are also near golf courses, tennis and yacht clubs, the area’s most elite private schools, and plenty of retail and hospitality. Nestled along the Intracoastal in the Northeast corner of Broward County, this cluster of peninsulas and canals is accessed where Bayview Drive meets East Cypress Creek Road (NE 62nd Street).Though developed in the latter half of the 20th century, most homes are much newer luxury construction in a look very indicative of the region’s architecture from Mediterranean to Florida Keys. Soaring entrances, grand rooms with the latest technology, and indoor/outdoor uses make up layouts. Yards are impeccably landscaped with mature, tropical trees and plants. Its exclusivity draws a range of homeowners from full to part-time. All ages and life styles that demand the best of South Florida find what they’re looking for here. 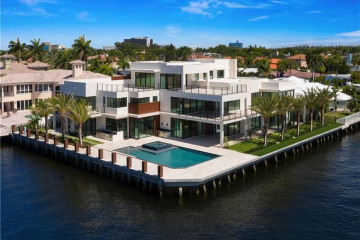 This guard-gated waterfront community is among the most exclusive in Fort Lauderdale. 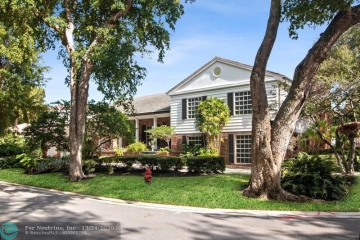 With 24-hour security, Bay Colony is home to magnificent waterfront properties and peaceful, tree-lined streets.